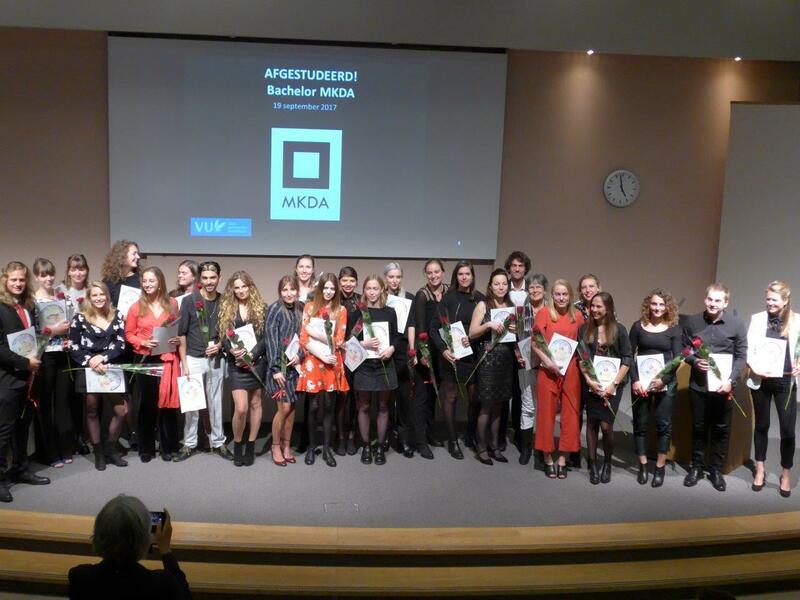 Many congratulations to all bachelor MKDA students that graduated this year! They showed us the diversity of MKDA in the student testimonials and in their varied thesis topics on Sin City, Huis Sonneveld and Museum Willet- Holthuysen, Silent Hill, Caravaggio’s Matthews-cycles, Xintiandi, Tapio Wirkkala and Piet Hein Eek, Dutch Graffiti, Rome as a cinematic city, Dolle Mina placards, and many others. Aimée Albers, Samantha Brouwers, Eva Bruijne, Marthe Cremers, Robin Dokter, Rosa Droogers, Laura Franken, Terry Harmelink, Marja Heier, Emma Herlaar, Sander Kesting, Debra Knoop, Romée Lotringen, Roberto Luis Martins, Maartje Meule, Aimee Albers, Jip Mulder, Rosa Mulder, Stefanie Mulder, Lindsay van Rijn, Janneke Rutten, Cheryl Schilder, Lotte van Slageren, Roxanne Vijzelman, Mike Warrink, Floris Weekhout, Vera Weijers, Annelies Wester and Maaike Wiggers! We wish you all the best in your future studies and careers and hope you’ll keep in touch. Don’t forget to become a member of the VU Alumni Arts and Culture Linkedin!